Learn why more people are choosing to use Springfield Woodworking. It's not just quality cabinets and solid workmanship that are driving people to choose us for custom cabinets in Winnipeg. Attention to deadlines and clear communication throughout your entire kitchen or bathroom project are reasons why more people choose to work with us. Don't just take it from us, hear it from our customers and read our testimonials. Our beautiful stone countertops and custom cabinetry make Manitoba kitchens the beautiful heart of every home. We also install the countertops we sell, and we're happy to help you pick countertops and cabinetry for bars, entertainment units, laundry rooms, home offices, and more. If you are looking for a durable and beautiful style of solid wood drawers for your cabinets, consider dovetail drawers from Springfield Woodworking. YOUR KITCHEN REDESIGN BEGINS WITH A VISIT TO OUR SHOWROOM! Get inspired and find the latest in kitchen design and construction trends at our wheelchair accessible showroom. Whether you're looking for a modern, traditional, or contemporary kitchen style, our experts can help. For even more inspiration, make sure you check out our project gallery where you can see examples of our work. Choosing the right colours and wood species are critical to your renovation. Whether you're looking for solid wood or stone countertops, you'll find exactly what you need at our showroom. You don't need to worry about getting a ticket either; we have plenty of parking here so you can take your time and have a good look around. If you're not sure what you need, don't worry; with the assistance of our kitchen experts, we'll assist you with finding the door styles and colours that are a perfect fit for your home. I just wanted to say how much I appreciate all that Springfield is doing for us. I have always been very impressed with your company with regards to quality and customer service and in this situation you have once again proven that your company is a "class act"!! I wouldn't hesitate to highly recommend your company to friends and family. We are extremely pleased with the service and product we got from both Springfield and Coldspring and the kitchen looks amazing. The product and service was fantastic and I would highly recommend your company. Start to finish the project was less than a month which is fantastic when you compare it other horror stories we've heard from friends and family who have dealt with other companies. I got a message from Paul, your manager, he left me a kind message and mentioned that work will be done and our cabinets should be done soon. I really appreciate the service, the cabinets are beautiful and I am really impressed with the quality of craftsmanship. Thank you for all you've done! I am happy to let you know that Shaun and Tyrone came this afternoon to lower my cabinets. They look perfect! The boys worked efficiently, cleaned up the sawdust and were as pleasant as could be. Thank you so much for your prompt attention to my cabinet situation. I can see why Springfield Cabinetry has an excellent reputation. Thank you so much for all your help in designing the new floor plan. It has been a hit with everyone that has come over. Everyone always wants to know who did our cabinets and we have been very proud to tell them about Springfield Cabinetry because from start to finish, everyone that we dealt with was completely professional and very easy to work with. Glen, your patience and kindness helped make the decisions so much easier and for that we are truly grateful. Just wanted to say thanks to you and your team for the awesome cabinets/counters. Everything looks awesome and the service throughout the build process has been great. Alex came and did the repair. He was a nice friendly guy. Thanks to you and Springfield for doing this repair. I hope you advise your sub of their problem and the fact you fixed it. It's hard to find good companies like Springfield nowadays. Thanks again. Thanks so much for taking care of this. My wife and I loved our experience with SFWW – we continue to refer friends and family to you. I can't say enough great things. Take care! Thanks so very much to you and your staff for all your most welcome advice and service. We are more than pleased with the prompt and professional workmanship you provided and are very happy with the cabinets. Take care. I wanted to let you know how impressed we are with the job you guys did for us. After all the horror stories I have heard regarding kitchen cabinet installations in general dealing with you guys has been a painless process and the timeline worked out wonderfully. Many Thanks to you and the rest of your team for a job well done. I would like to thank you for all your help with our new kitchen. Alex was there yesterday to finish up the work and he did a great job. Henry also did a super job on the installation. I am very pleased with the completed work. The kitchen looks great. We had our kitchen cabinets made by Springfield 9 years ago. Sally Helped in designing it and to this day still loving it and the wood looks as good as the day it was installed.  Recently I found 2 of my soft close drawers were not closing so softly anymore. I called to see if we could get the hardware upgraded. Within 3 days they were both replaced and at no cost. We are very impressed that Springfield stands behind their product. We highly recommend Springfield Woodwork to anyone that wants a quality built product.  If you'd like more information on our services and products just give us a call or drop us a line – we can't wait to hear from you and get started on your dream kitchen or bathroom!